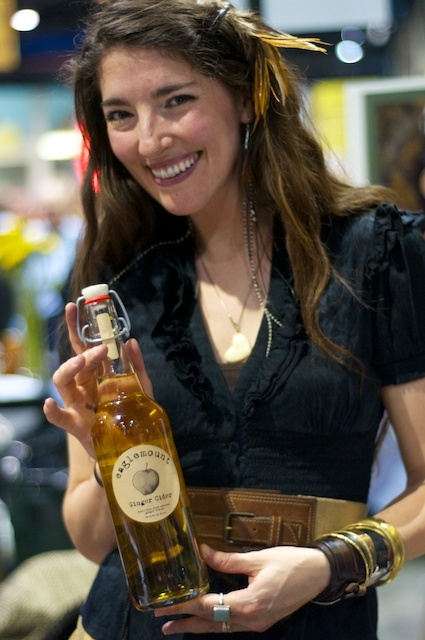 It was a difficult decision to attend Taste Washington 2011 because my heart just wasn’t into tasting wine at this particular time, much less write about it. 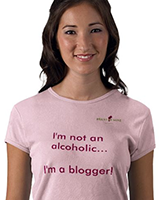 Partly due to a little burn-out on blogging about wine and partly because the wineries I write about here in Washington rarely seem to appreciate the mentions. Granted, I’m sure my little blog doesn’t have a huge impact on their sales but I really do appreciate the winemakers and winery owners who, at the very least, recognize who I am and remember that I said something about their wine. Many of the usual suspects were pouring again this year at the Qwest Event Center in Seattle this past Sunday. Chateau Ste. Michelle, Columbia Winery, Waterbrook Winery, Hogue Cellars and other big producers had plenty of wine. Others such as Betz, Maison Bleue and some of the smaller wineries ran out of their most popular wines by the late afternoon. And others, such as John and Gretchen Bookwalter, while mentioned in the event program, chose not to pour at this event and instead mingled with the crowd. Good for you! There were also a few pleasant surprises this year that made the effort to attend worthwhile. I visited with wines that I’ve tasted in the past. Mike Sheridan of NW Totem Cellars is one of the nicest guys I know and makes wines that I really enjoy. He described his 2007 Reserve Cabernet Sauvignon, Yakima Valley ($33) as a more feminine cab. It wasn’t big and overpowering like some cabs but delivered a refined expression of berry, leather and tobacco notes, firm tannins and pleasant mouthfeel. The 2007 Cabernet Franc was memorable with its anise nose and cherry, plum and smooth tannins on the palate. His 2007 Longhouse Syrah, Yakima Valley was deep and dark like a Petite Syrah but had 4% Viognier and 8% Petite Verdot giving it good balance and a bit of smokey cedar aroma. And for $20, it was a bargain. I still know him as Bill, but Owen of O•S Winery likes to go by his last name only. His 2008 Cabernet Franc, Horse Heaven Hills ($28) had pleasant cigar box and earthy aromas. By lowering alcohol levels to 14.1% from 14.7% in previous years, it showcases the rich cherry and mocha tastes and silky tannins, yet it’s still worthy of a few years of bottle aging. 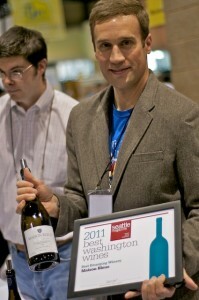 But its Owen’s Riesling that sets the standard for all Washington Rieslings for me. The 2009 Riesling, Champoux Vineyard is made with only 9.8% alcohol and has notes of apricot, white flowers and the distinctive petrol aromas found in better German Rieslings. The minerals, crisp apple and lime flavors and 3.0 pH nicely offsets the 2% residual sugar giving it a lush yet refreshing quality. After 3 years, I’m pretty sure that Scott Southard of Southard Winery still doesn’t remember me, but I remember his wines and I guess that’s all that matters. The 2007 Syrah, Lawrence Vineyard is his best Syrah yet, with smokey bacon and spice aromas, plum, fig and vanilla flavors. It’s impressively structured with a smooth luxurious finish. 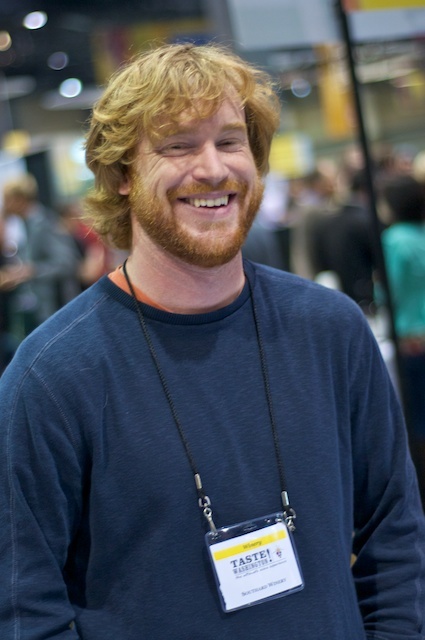 His 2009 Rousanne, Columbia Valley is also worth mentioning. Its pear and almond notes with hints of white pepper and a clean dry finish make it a white wine for red wine drinkers. 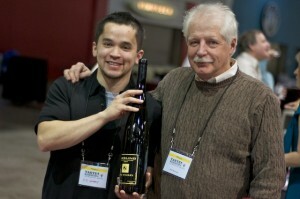 Someone who does remember me is Jon Martinez of Maison Bleue Winery. I “discovered” his winery a couple of years ago when Jon had just moved to Eastern Washington from Kansas City and had only a Rousanne and some barrel samples of his reds to taste. Since then, he has made quite the name for himself among Washington winemakers. And for good reason—his wines are memorable. 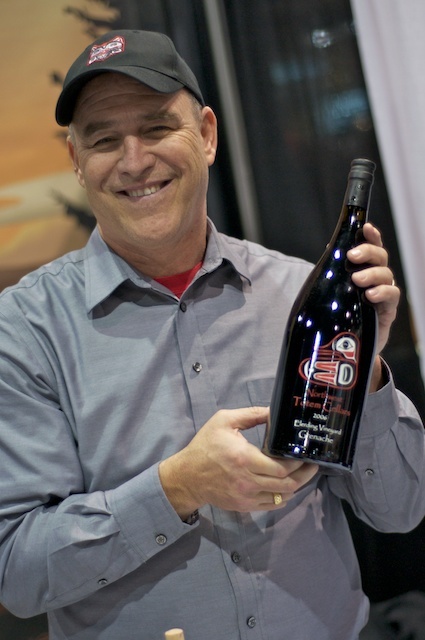 His latest offering, the 2009 Jaja Red Rhône Blend, Yakima Valley, is a delicious 50/50 blend of Grenache and Syrah infused with herbal aromas and flavors of red and black fruits. The 2009 La Montagnette Grenache, Snipes Mountain has a touch of Syrah and offers up aromas of currants, spice and grilled meat followed by opulent dark fruit flavors and a velvety finish. Fantastic…where do I order? Of the wineries I know and frequent, here are some of the other notable wines I tried. William Church 2008 Malbec, Gamache Vineyard; Gård Vintner’s 2007 “26” Cabernet Sauvignon, Columbia Valley; Sheridan Vineyard 2008 Syrah, Yakima Valley; Animale 2008 Petite Syrah, Yakima Valley; Andrew Will 2009 Cabernet Franc, Columbia Valley; JM Cellars 2008 “Longevity” Red, Columbia Valley; and finally, the Columbia Crest 2008 H3 Cabernet Sauvignon, Horse Heaven Hills. How surprised was I to find a $10 wine that was smooth and approachable, yet still offered a rich complexity. Wow! 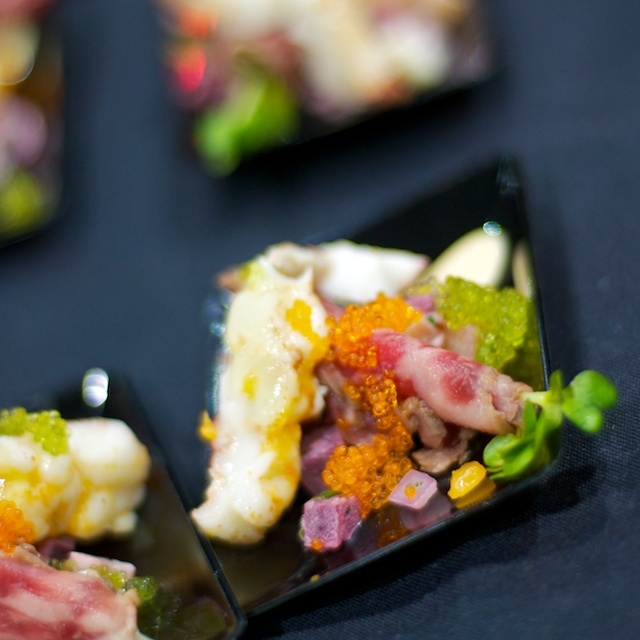 Of course, there was more than enough food to enhance the tasting experience…at least until 4 p.m. when the doors opened to the voracious public. Once again Elliot’s Oyster Bar shucked tons of fresh oysters, however, this year, they only offered one variety. Cutbacks I suppose. The other prominent Seattle establishment, Ivar’s, served up an applewood-smoked Alaskan Coho salmon with fennel jam, port wine reduction and Rogue River gorgonzola on a rosemary crisp. Salty’s offered blackened halibut fish tacos, but seemed to be having a hard time keeping up with demand. Ocean Crest Resort also had fish: cedar smoked Quinault salmon gateau with spring herb fromage and tobiko. What was surprising was how good the food was from some of the more pedestrian venues in town. To make the transition from seafood to land food, Ruth’s Chris had a surf and turf of New Orleans style BBQ shrimp and bacon wrapped Filet Mignon au Poivre. 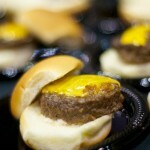 The Washington Beef Commission had cubes of the most tender flavorful beef I tasted all day. Gordon Biersch made some wonderful BBQ pork sliders using their Marzen barbecue sauce, but the most memorable small bite I had was from Smash Wine Bar & Bistro. 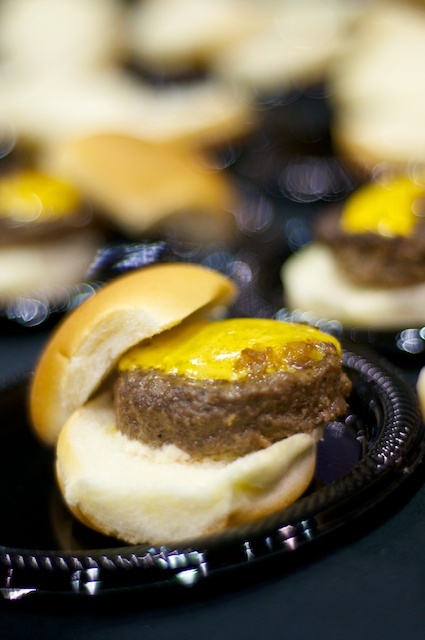 Their Wagyu beef sliders with smoked cheddar, BBQ and Walla Walla onion aioli was so delicious, my mouth is watering as I write about it. Unfortunately, I waited too long to try and sample Canlis and El Gaucho but heard spectacular things respectively about the braised lamb and beef kabobs. I made a conscious effort to try some wines that I normally don’t at these events and I really wanted to try the wineries that I’ve walked by in the past. At least that was the plan. Maybe I wasn’t feeling particularly adventurous, but in the end, I spent a majority of my time tasting the latest offerings from the wineries with which I’m familiar leaving little time to explore new territory. Even so, I discovered some new wines worth sharing. 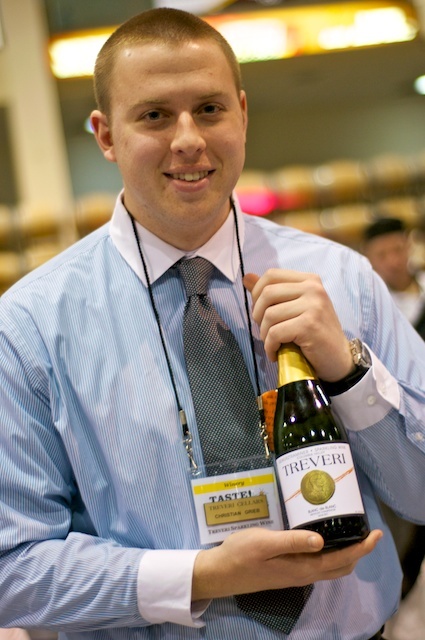 Of all the “new” wineries I tried, Treveri Sparkling Wine Cellars was the most intriguing. I don’t think I’ve had much sparkling wine from Washington so this was a treat. While their wines are labeled as non-vintage, they are made from specific vintage years and methode champenoise much like vintage champagne. The Blanc de Blanc Brut, Columbia Valley is made from Chardonnay and is a tasty dry bubbly with a fine mousse, citrus notes and a clean finish. The Blanc de Blanc Extra-Sec Pinot Gris, Columbia Valley was refreshing but failed to excite like the Blanc de Blanc Demi-Sec Gewürtztraminer, Columbia Valley. The nose of this sparkling Gewürtz was atypical of this varietal with vibrant mandarin orange and subtle spice aromas and exotic flavors of lychee and mangosteen without being overtly sweet…yummy! 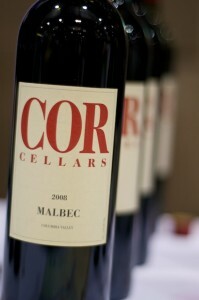 Cor Cellars had an impressive line-up of wines to taste. Their 2010 Alba Cor, Celilo Vineyard Pinot Gris and Gerwürtztraminer blend had floral aromas and the flavors of citrus and ripe honeydew with great acidity. The 2008 Malbec, Horse Heaven Hills was a little tight on the nose but on the palate I found a rich mouthfeel with dark fruits and mocha and firm tannins. Their 2007 Cabernet Sauvignon, Horse Heaven Hills had a fragrant floral quality with loads of dark cherry and cocoa. Still fairly tannic, it will benefit from a few more years in the bottle. Other notable finds new to my wine radar included Walla Walla Vintners 2009 Cabernet Franc, Columbia Valley ($28); BridgePress Cellars 2007 Merlot, Walla Walla Valley ($30); Pomum 2007 “Shya” Red Bordeaux Blend, Yakima Valley ($38); Tsillan Cellars 2008 Estate “Sinistra” Red Blend, Lake Chelan ($23); Badger Mountain Vineyard 2009 Organic Riesling, Columbia Valley for only $10 and it’s organic; Desert Wind 2008 Barbera, Sacagawea Vineyard, Wahluke Slope ($16) and finally, something that wasn’t wine but equally tasty, Eaglemount Ginger Cider, Washington State ($15). Hi Eric, I enjoyed your recap. Wish our paths would have crossed at the Grand Tasting. Although, given the size of the event, it’s not surprising that they didn’t. Hope you are doing well. Cheers! Thanks, Kori, for stopping by and reading. At least I know that someone has seen it. 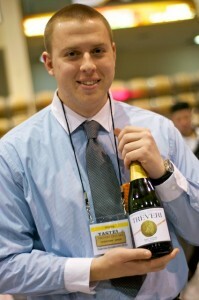 I looked for people I knew at the Grand Tasting. I was there from 12:30 until 7pm and the only other blogger I saw was Bean. It wasn’t nearly as crowded this year as it was last year which is why I stayed until the end. Hopefully, we will cross paths at another event. Are there any that you are attending in the near future?. Salute Eric, keep drinking great wines.. Thanks for the mention, I’m glad you enjoyed our wine.